Don't Let Allergies Stop You from Working Out and Playing Your Favorite Sport: Take Claritin Reditabs! The number one anti-histamine brand in world continues to produce world-class products. This time, they made Claritin Reditabs chewables. You can take it anytime when the situation calls for it. 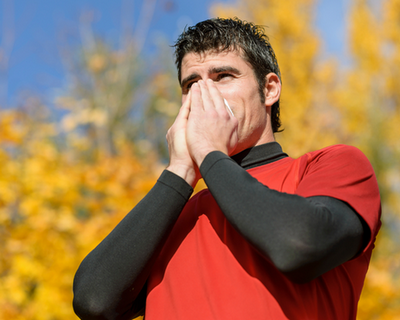 Active people like athletes, fitness enthusiasts, and sporty people can now enjoy instant relief from allergies that tend to prevent them from doing their respective routines. 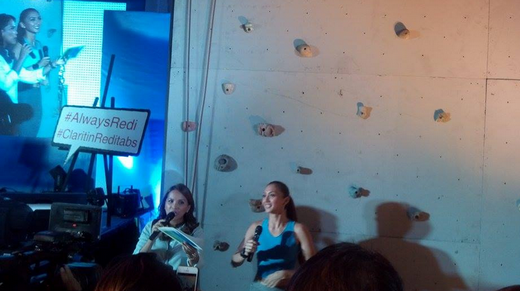 Take for example the brand ambassador, actress, TV Host, and fitness buff Iya Villania-Arellano. She enjoys an allergy-free active lifestyle with Claritin Reditabs. That's because adventurous souls don’t like to be bogged down by anything, not even an allergy attack. Iya suffers from allergy, but she still takes life by the horns and doesn’t let anything get in the way. So how does she do it? “I believe allergies shouldn’t be an excuse to forgo an active lifestyle. The great outdoors is fun! There’s so much you can discover about yourself, your loved ones and the world when you’re out there. It was when I realized this that I decided to do everything I can to not let allergies control what I can and cannot do. I decided that I should always be ready,” Villania-Arellano said. She is in the gym at least four times a week, does a mixture of core kinesis, Plana Forma and Power Plate. She also trains regularly to prepare for a roster of challenging triathlon events this year. “This active lifestyle is a choice I had to make. After seeing how certain foods, combined with a sedentary lifestyle, affect my health and mood, I decided to take charge of my health. I definitely feel better than I did before,” she said. But Villania-Arellano is still not immune to allergy attacks. “It catches up with me during the most unexpected moments. Once when I was on a trip, my allergy broke out because of pollen and I wasn’t able to act on it because I had no water with me. Allergy attacks strike even at home when I play with Drew’s pet. Good thing, I am now always ready by bringing a pack of Claritin Reditabs wherever I go,” she said. 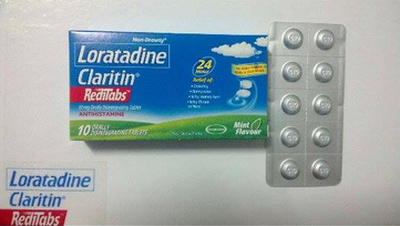 Loratadine (Claritin Reditabs) is the same powerful Claritin millions have trusted in a new and revolutionary format. “Just peel off the foil and pop it in your mouth. This new and convenient format can be taken anytime, anywhere. No water needed! This non-drowse variant orally dissolves in seconds and leaves you with a fresh minty taste. And the effects last for 24 hours,” Villania-Arellano said. “Living a healthy and active lifestyle is possible in spite of allergy attacks. Eat a healthy diet, exercise regularly, and of course, always be ready with a pack of New Claritin Reditabs,” she added.